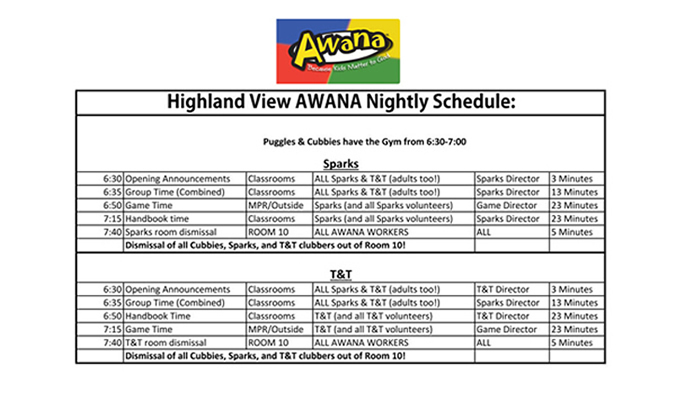 Highland View's AWANA club is open to children ages 1-12. 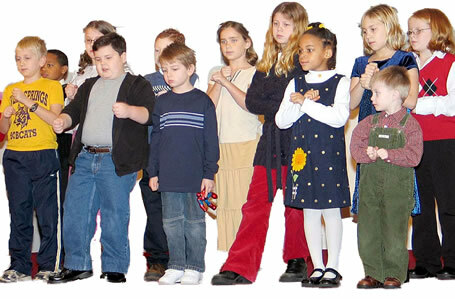 Our club is unique in our area in that no child is asked to pay a fee to participate. The congregation provides all of the materials, and snacks are free for the students. 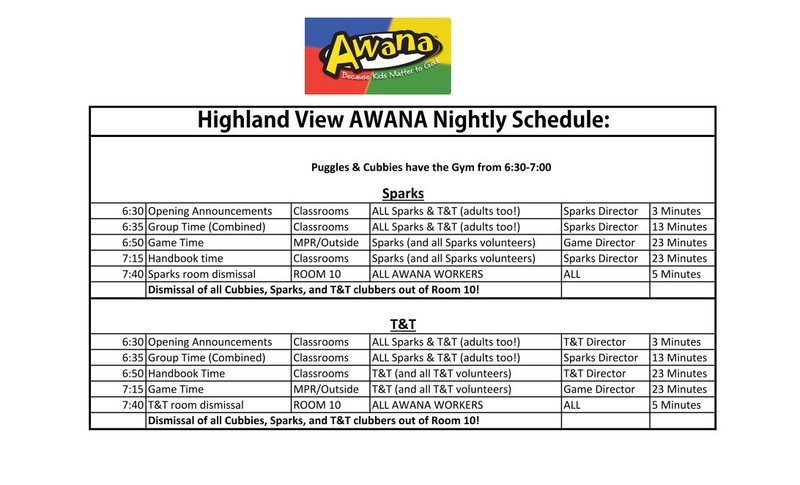 AWANA basically follows the school-year calendar from August through May, dismissing for holidays and for the summer break after school concludes for the year.